This post is the first in a series on physics concepts for character design, concepts that greatly impact how well the character can execute motion in animation. 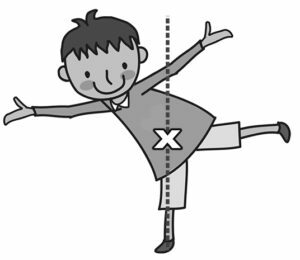 When working out how to balance a character or object, your first order of business is to figure out the center of gravity. The center of gravity, also sometimes called the center of mass, is a vital component in figuring out whether your character or object will balance or tip over during animation. While most non-animators (or non-physicists) couldn’t tell you what a center of gravity is, they can tell, from years of simply observing the nature of gravity in everyday life, if you’re using it right. in other words, if you don’t get it right, your audience will instinctively know. Where is the center of gravity? 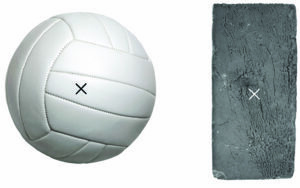 The center of gravity is the average position of an object’s weight distribution. For simple, uniform objects, the center of gravity is located at the geometric center (indicated by an X in the image below). In life, one way to find out an object’s center of gravity is to dangle it from a string. The center of gravity will be somewhere along the line of the string. Note that the center of gravity might be outside the object. 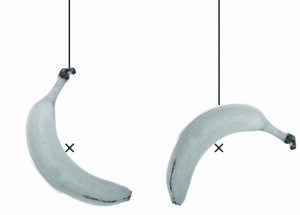 No bananas were harmed during this experiment. 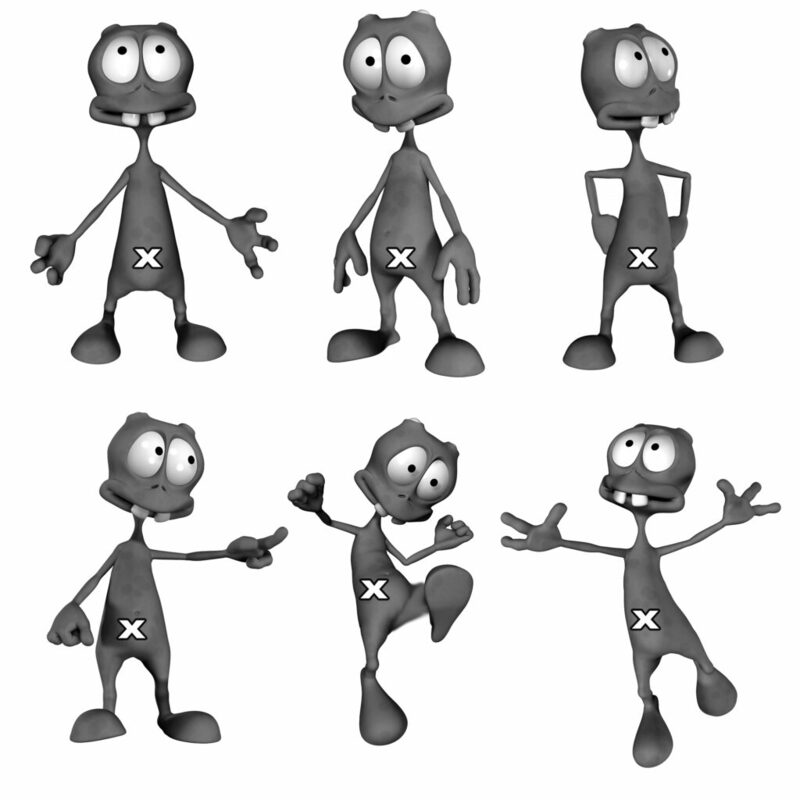 For digital characters, the string method isn’t really an option. What you can do is use a basic understanding of anatomy. For two-legged creatures (including humans), the center of gravity is generally around the pelvic region, just below the belly button. The natural center of gravity could be higher if the head or chest is heavy, or lower if they are light. 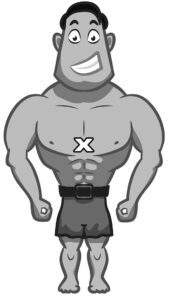 The center of gravity for a chesty character is often higher than the belly button. In the next post, you can see how you can use the center of gravity to determine whether a character will balance or tip over during action. You can learn more about center of gravity in the Forces chapter in the Physics for Animators book.